Eden 54 Hotel is located at Jalan Gaya, Kota Kinabalu. 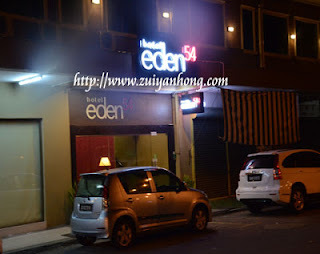 The location of Eden 54 Hotel is pretty ideal. The Jesselton Point is not far away from Eden 54 Hotel . You just have to walk for not more than 5 minutes from Eden 54 Hotel to Jesselton Point. Suria Sabah Shopping Mall is also near to Eden 54 Hotel. Before leaving KK, you can drop in there to shop. Eden 54 Hotel is clean and tranquil. Wifi is available in Eden 54 Hotel. The guest room is comfort and the lobby is decorated uniquely. The staffs are friendly and helpful. The visitors are feeling like staying at home. 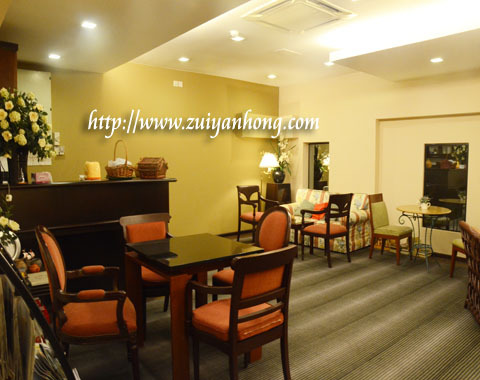 Bundle of cafes and coffee shops near Eden 54 Hotel. So, you don't have to worry about food and beverage. In case you wish to try your luck, there are two betting companies around, Sports Toto and Sandankan Turf Club.